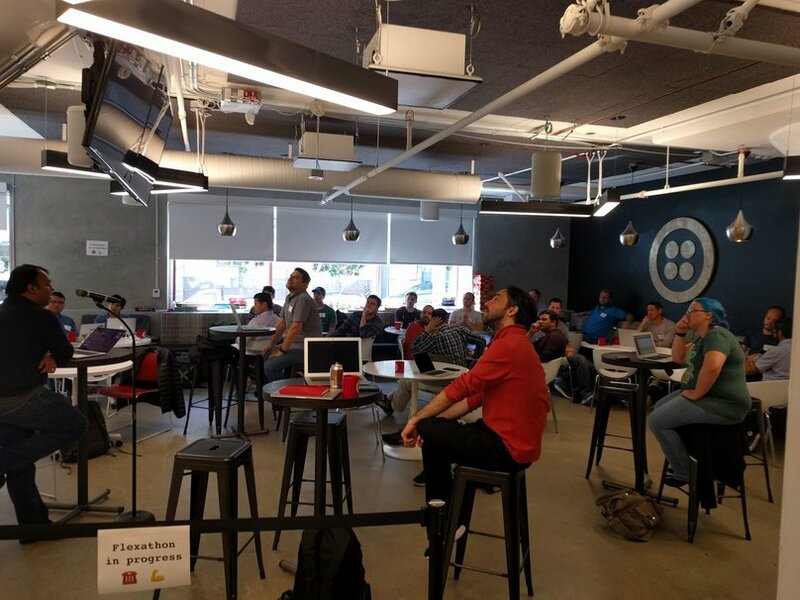 This post from Josiah Elliot, Ubertech Developer at Scorpion, is the first in a three-part series sharing a look inside the Twilio Flexathon. 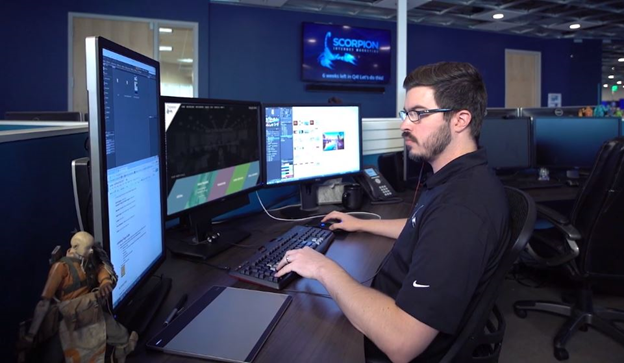 Scorpion helps companies create a successful digital presence. I work on Scorpion’s Chat product, Scorpion Connect, which makes Flex a really natural fit for me. Preserving chat states can be filled with all sorts of problems, and Flex offers a great solution. After two years of working with Twilio APIs, I was excited to get my hands on Flex and see what it can do. At the Flexathon, it was really nice to talk with the Twilio developers; they got the meat of a question instantly. They are all down-to-earth, helpful people who just want to build things, like me. The goal I had for the day was mostly to understand the Flex framework and to make sure that I could tear down whatever was initially implemented and start building out my own components. My first impression? Really fantastic. Flex is built on JS React, which is a simple but powerful framework. In fact, Twilio made Flex so simple that I was able to create custom features right out of the gate even though I had zero experience with it. The most exciting thing about working with Flex was the freedom it gave me to control the features without worrying about the details. For example, I could create my own dashboard, using my own information, but I could count on Twilio to handle the most difficult parts of the task management. With Flex, I no longer have to handle updating and synchronizing tasks/workers/channels/reservations because I can just ask Flex to do it for me. 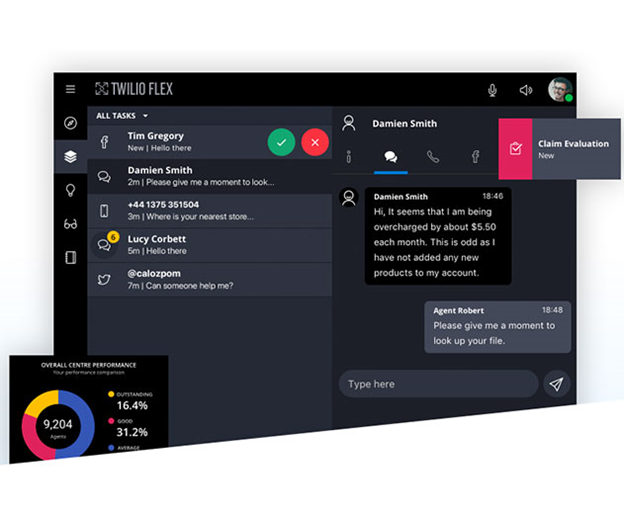 I’ve worked with Twilio APIs extensively, and Flex seems like the best example of their commitment to give developers the tools we need to handle frustrating and difficult problems without taking away any of our control over the things we build. For me and what I build for my clients, Flex isn’t about creating something that was unattainable before, but rather, it allows me to create a more stable product with faster iteration. I can tell that Flex will make my life significantly easier because I can let Twilio handle the logic for tasks, workers, channels, etc. so that I can focus on the features that my clients need. As any developer knows, fixing little bugs slows down development and drains a lot of the team’s enthusiasm for a new product. With the reliability of Flex, we can cut down on wasted time and deliver a better and more stable product. Flex will allow Scorpion to scale-up our chat product massively. We had a really good chat product already, but it was beginning to reach some limitations with load. With Flex, we can blow that cap away and focus on delivering a whole lot of new features on our roadmap.